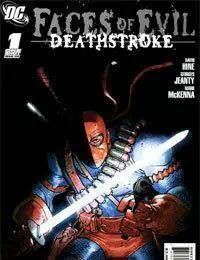 Deathstroke nearly died fighting Geo-Force in DCU: LAST WILL AND TESTAMENT, and now he needs to rebuild himself. Hes not about to let a near death experience make him lose his place as one of the most dangerous villains in the DCU. Where will he start? Whats next for the Terminator? And how high will the body count be when hes finished?